When developing your career, time is of the essence, yet many college professors, employers, and educators often forget that life goes on outside of magnetic resonance imaging. As you are reading this, you may already be employed, possibly working full-time, probably taking college classes, and maybe even completing an internship at a hospital or imaging center. You are likely doing all of these things while trying to find time for the other aspects of life, such as; family, friends, health, hobbies, finances, responsibilities, etc. Life while developing your career is tough, but our goal is to help make your life a little easier. Our two part MRI registry preparation system was designed to save you time by providing you access to tons of organized and relevant information all-in-one place, because let's be real, your exam is likely around the corner and you need a way to effectively prepare under tight time constraints. With this two part MRI registry review, there is no need to stress about writing down every word during long, expensive 2-3 day registry preparation seminars... no need to attempt to gather notes from multiple different books and resources... and no need to painstakingly try to keep up with every word, while also taking your own notes during lengthy online modules. 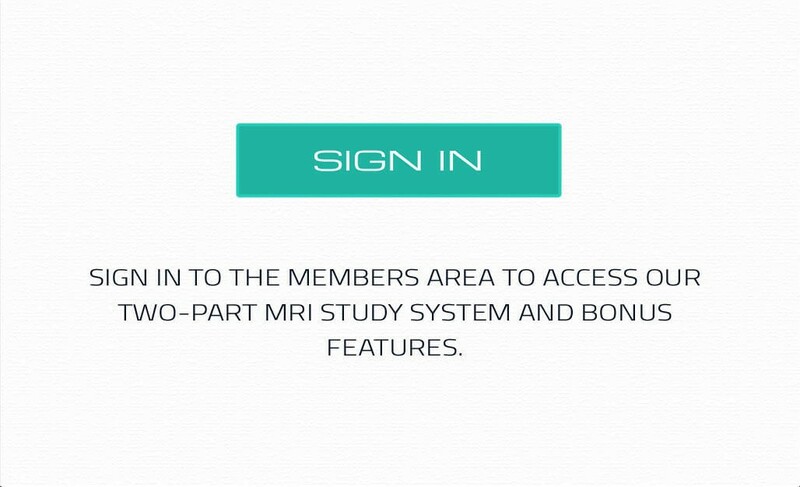 Our two part MRI review system makes studying easy by presenting relevant information right at your fingertips in the form of an easy-to-follow study guide and membership access to our large online database of MRI practice questions. You can finally stop wasting your valuable time gathering important information, and start using your time to actually study, so that you can get back to doing the things that you enjoy. Absorbing large amounts of information in a short amount of time is difficult and tedious without extreme organization. Many people do not realize how important it is to "organize your thoughts" when attempting to learn new information. What is meant by the phrase "organize your thoughts"?... to properly categorize and sub-categorize information in order to recall it with greater ease in the future. For example, consider the concept of language... if you were asked to recite every letter, in order, of the Pledge of Allegiance of the United States, most of you could probably accomplish this if given some time. But how would you achieve this? Especially since you never actually sat down and memorized the specific linear order of these 139 letters. You are able to do it because of your ability to subconsciously break down the Pledge of Allegiance into categories and subcategories. To explain this further, you recall the first phrase of the Pledge of Allegiance, you then recall the first word of that phrase, and lastly you recall the letters that make up this word and you recite them in order... and so on. Information is constantly seeking categorization within our minds every day, and sometimes, when we feel confused, it is likely because our brain has been presented with large amounts of information in an unorganized manner. The contents of this MRI registry review neither consist of random unorganized information, nor do they consist of long online modules or lectures that can require you to take your own notes and seem to jump around leading to confusion. This online MRI review system is extremely organized following a structure similar to the ARRT content specifications (the ARRT content specifications explain what information will be on the registry exam), and is thus broken down into similar categories and sub-categories as used during the creation of the registry exam. 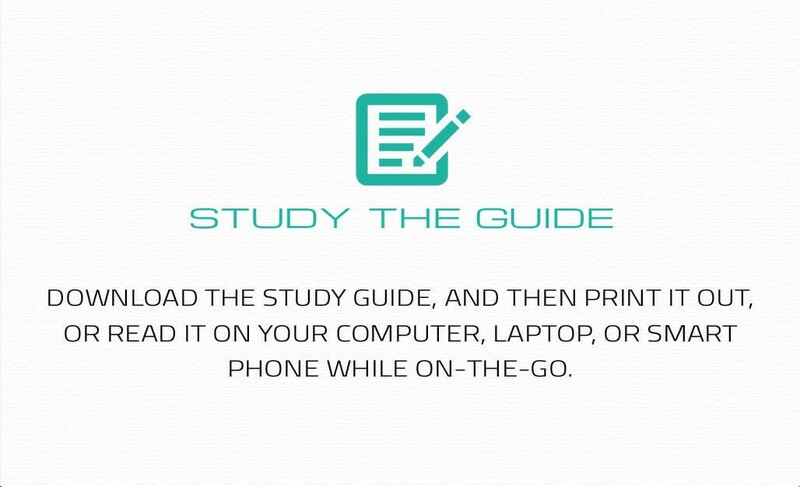 Simply read a section from the study guide, and then take the designated online practice quizzes and exams... a simple concept, ensuring an organized way to study. Affordable, convenient, and packed with features. We're glad you asked . 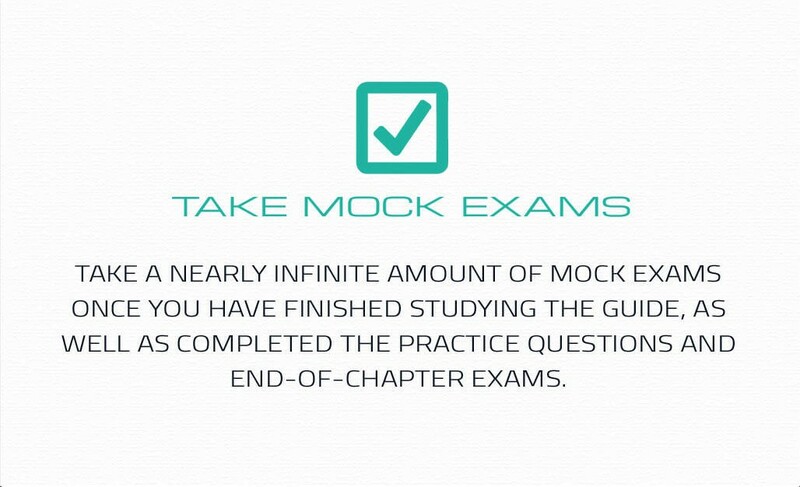 MRI Mock Exams, MRI review questions, and a comprehensive MRI Study Guide. Sign up and start studying for your registry exam.